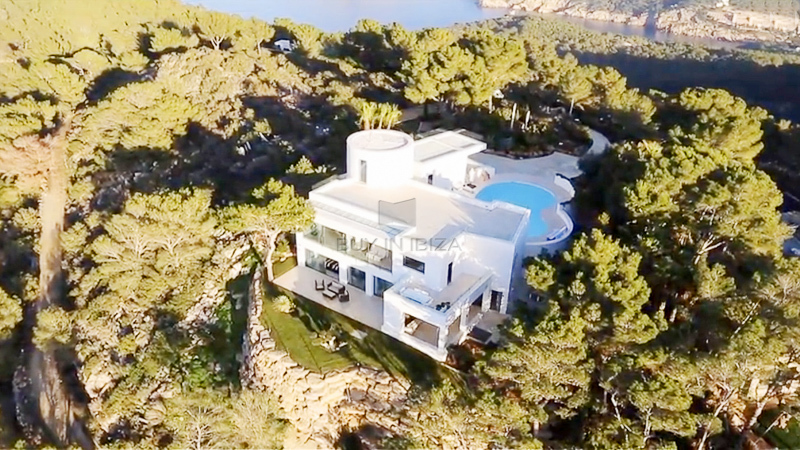 This is a truly stunning villa, located on the cliffs at Na Xamena near the Port of San Miguel and close to the five-star Hotel Hacienda. 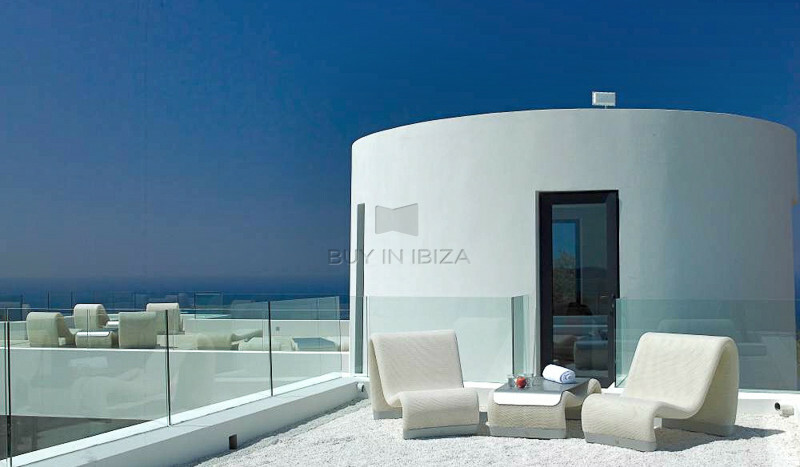 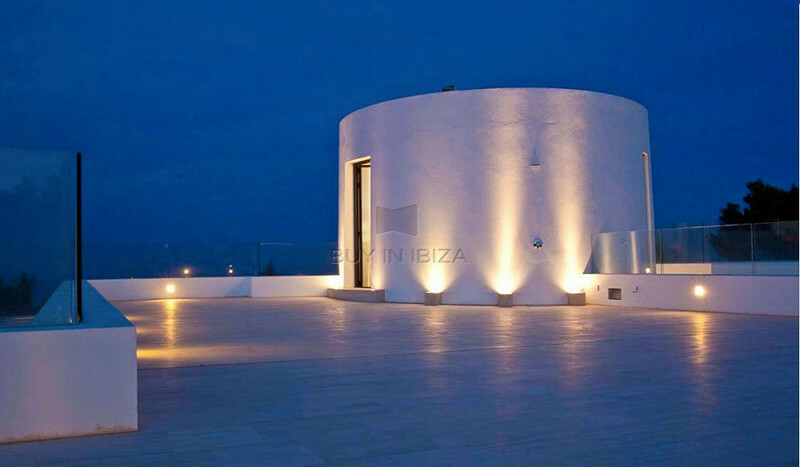 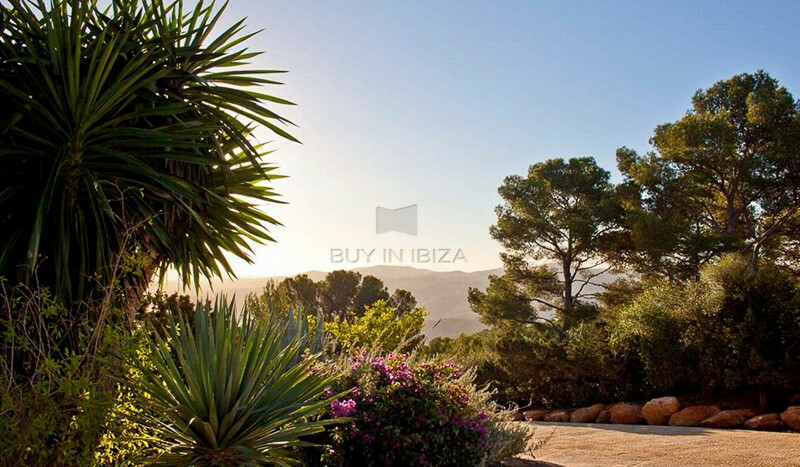 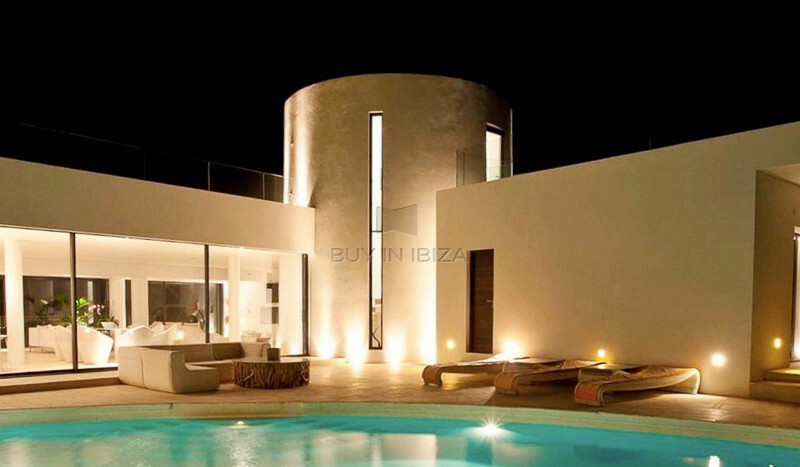 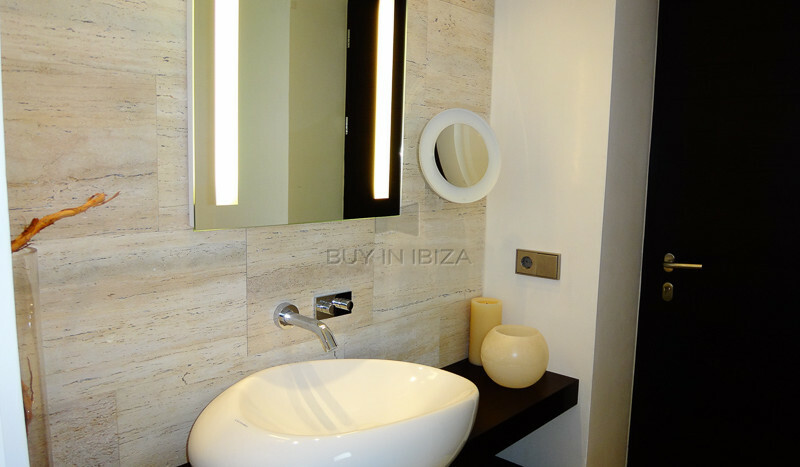 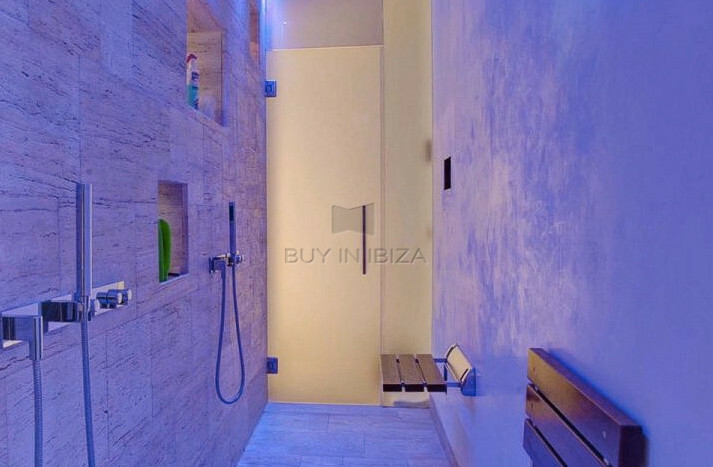 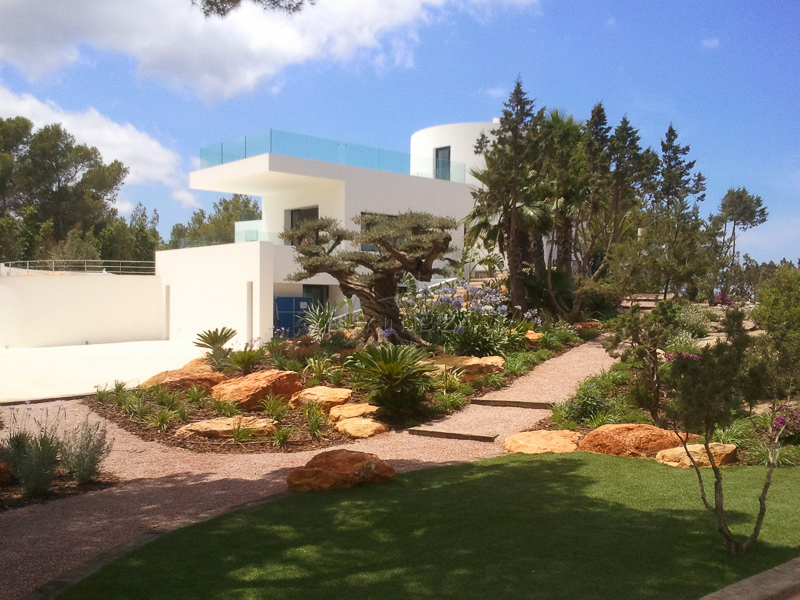 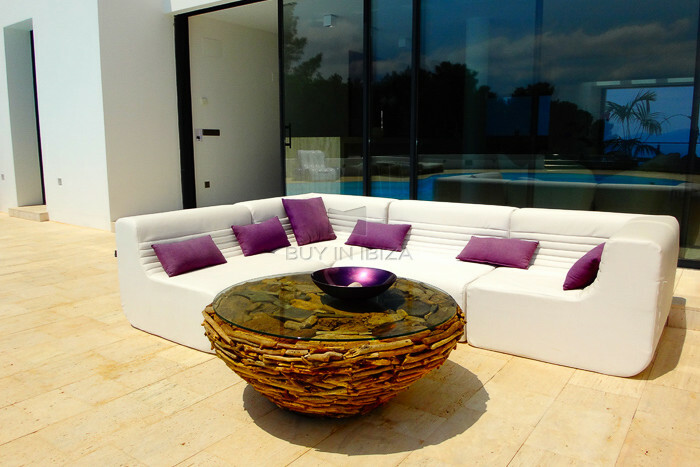 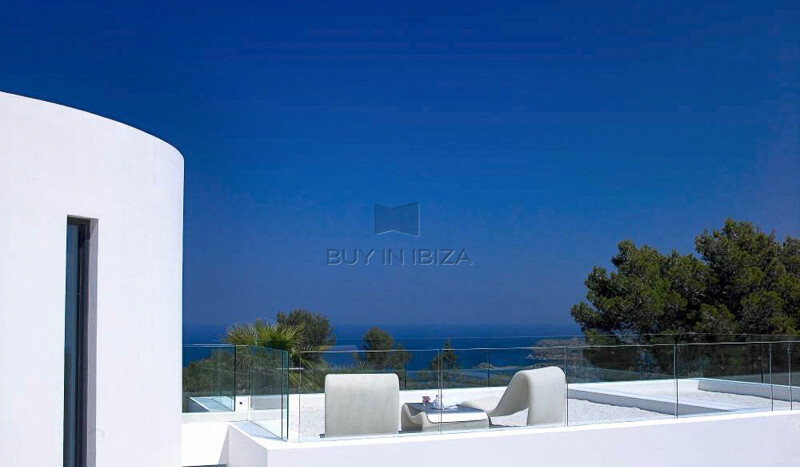 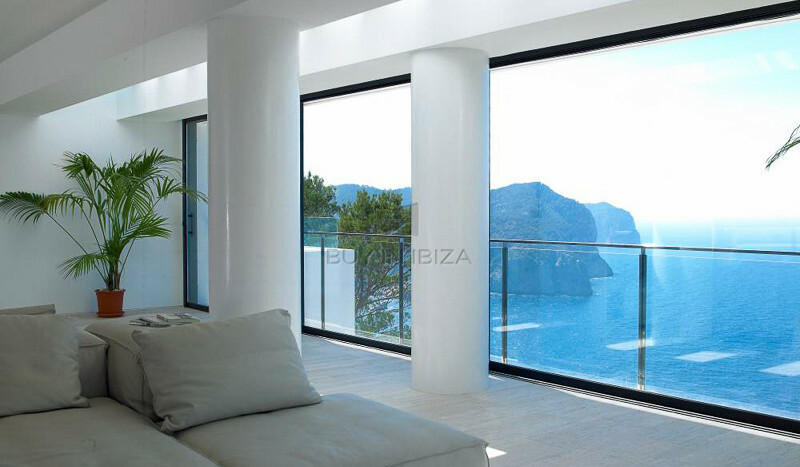 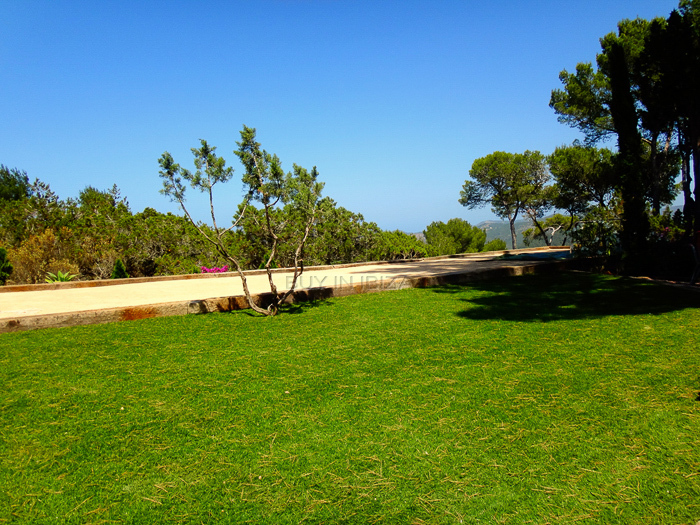 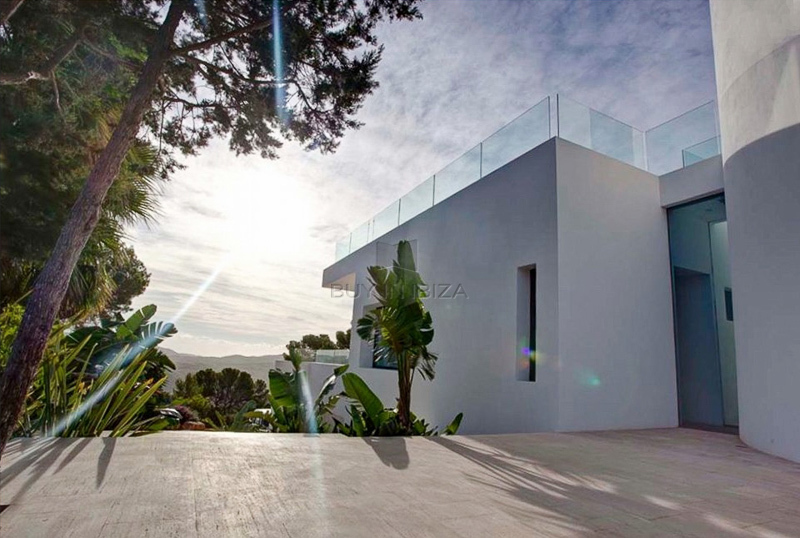 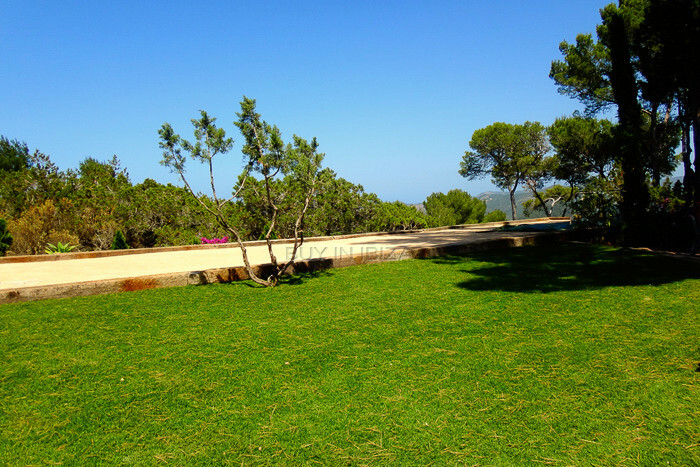 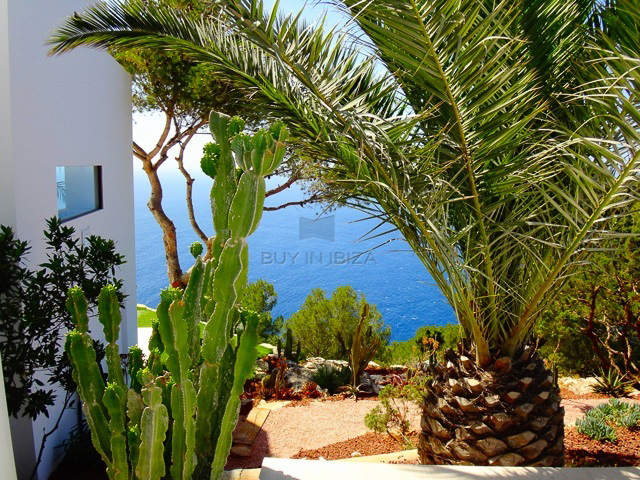 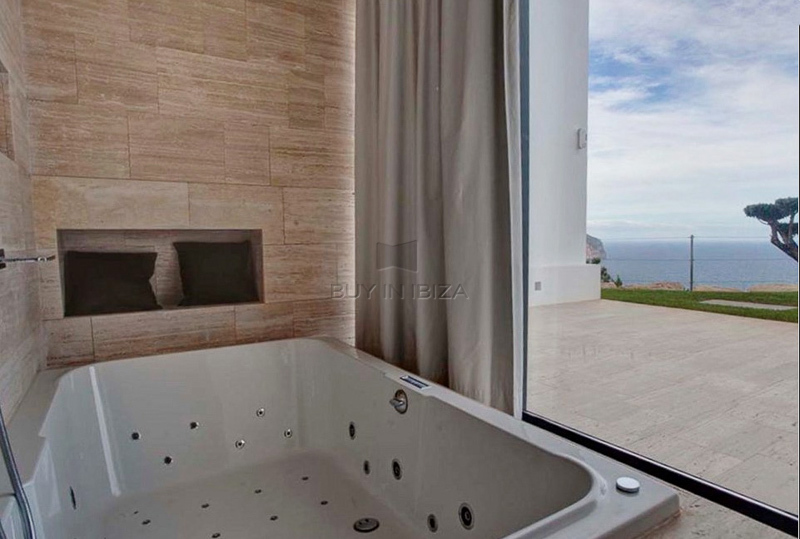 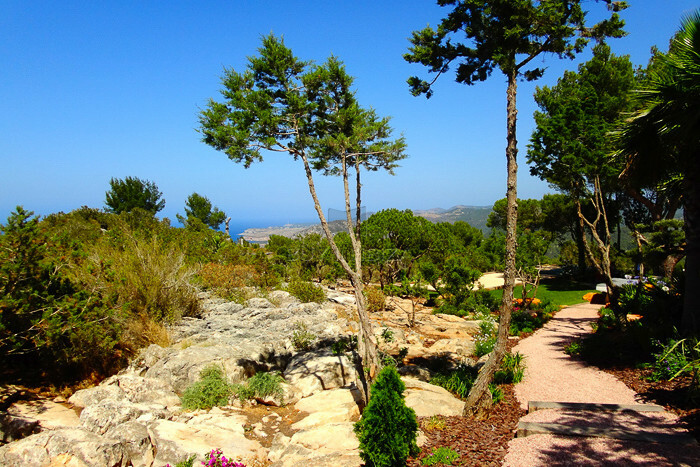 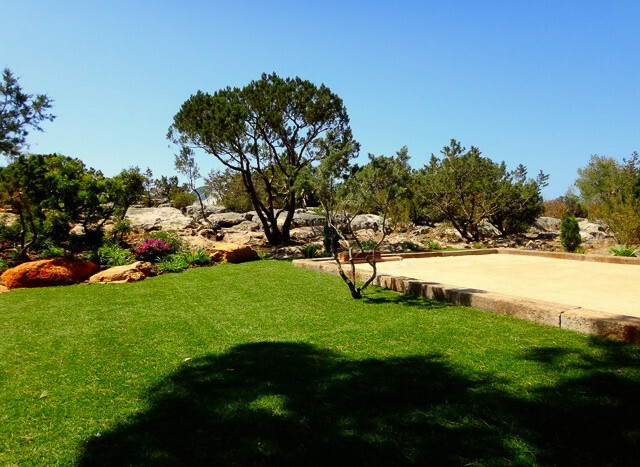 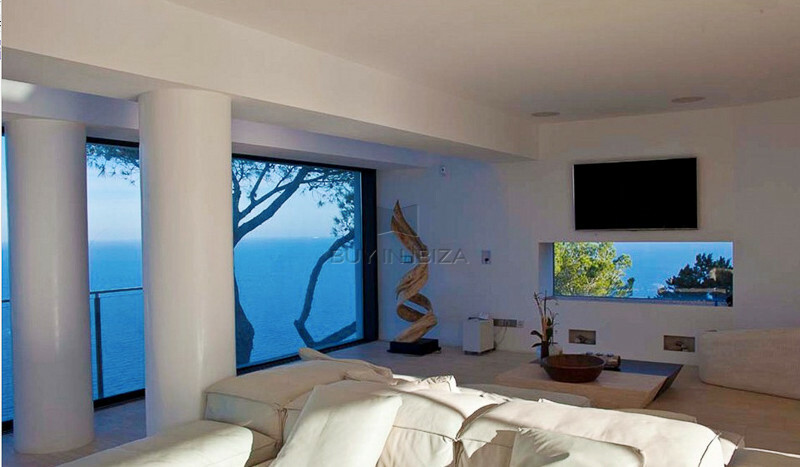 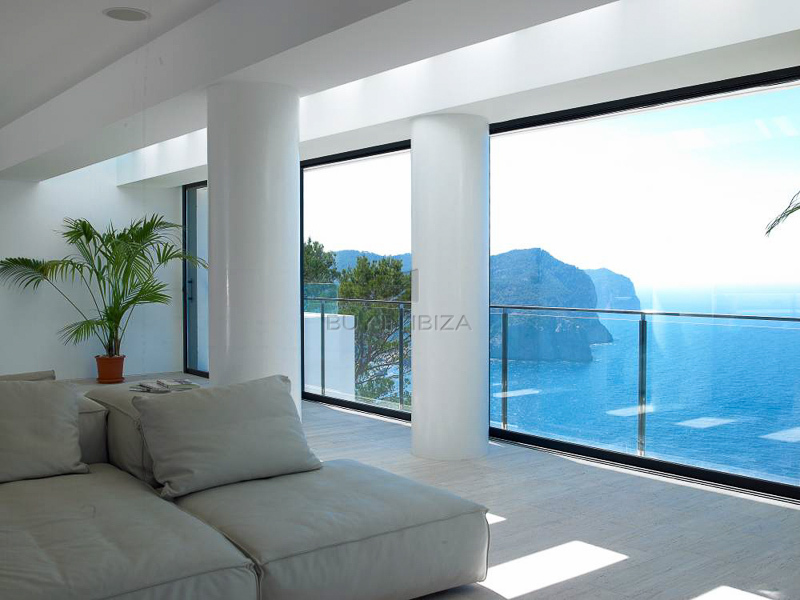 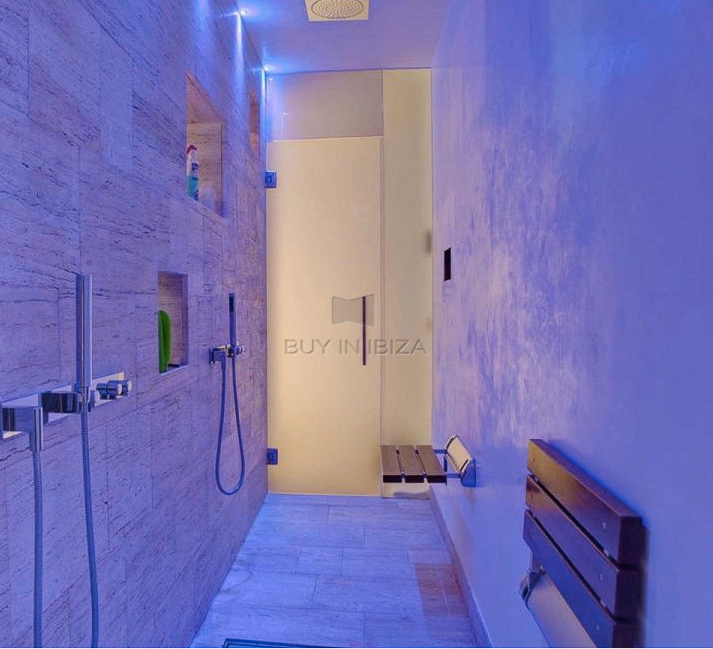 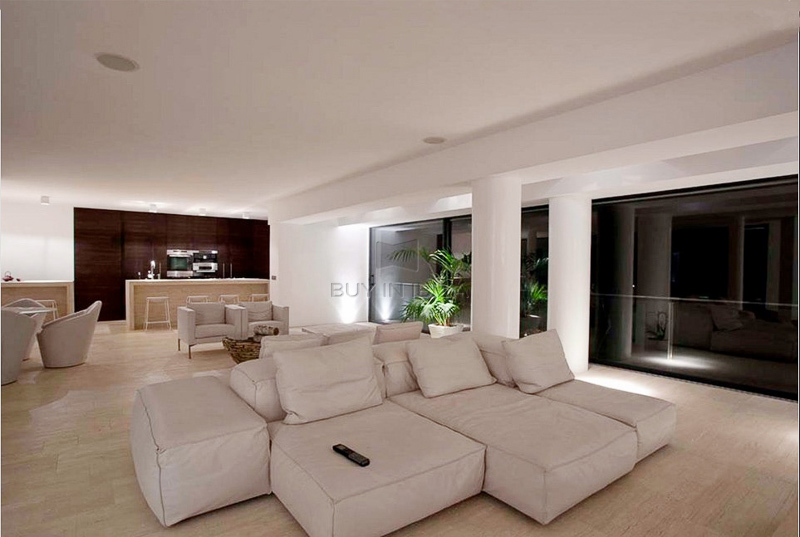 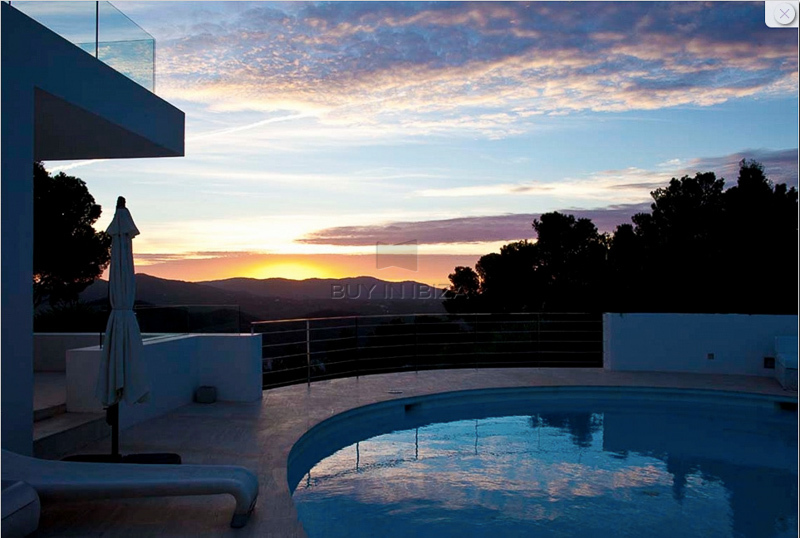 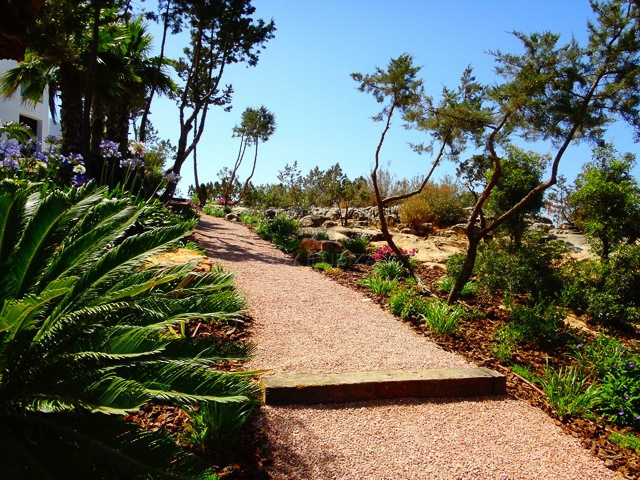 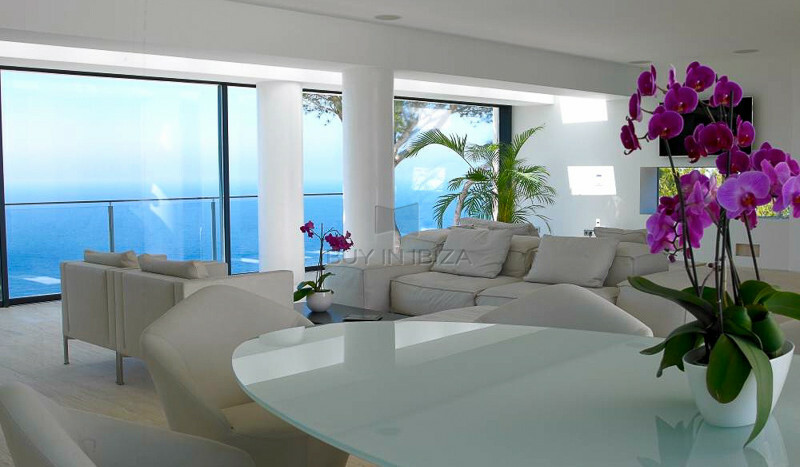 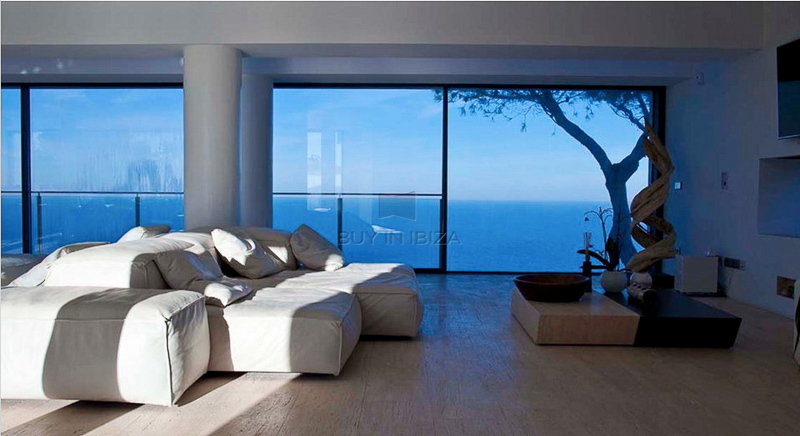 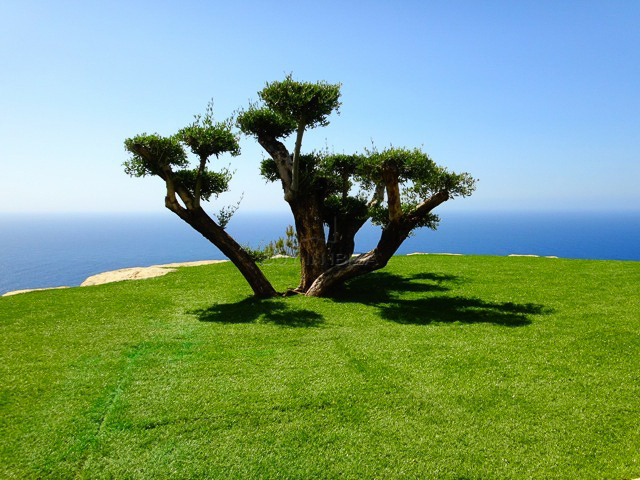 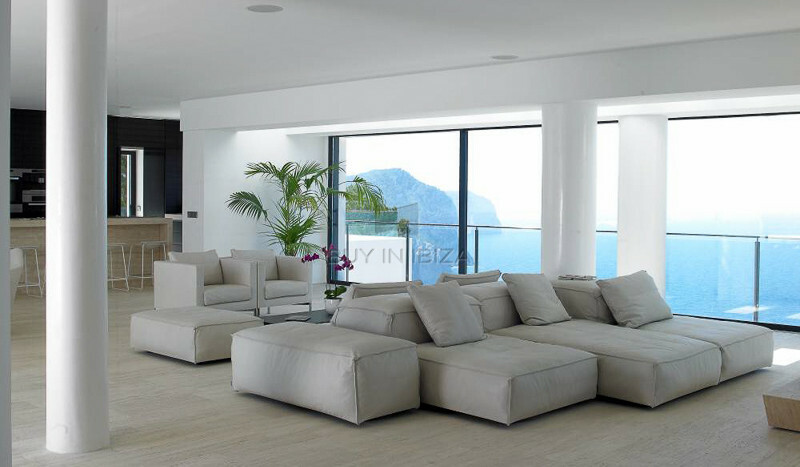 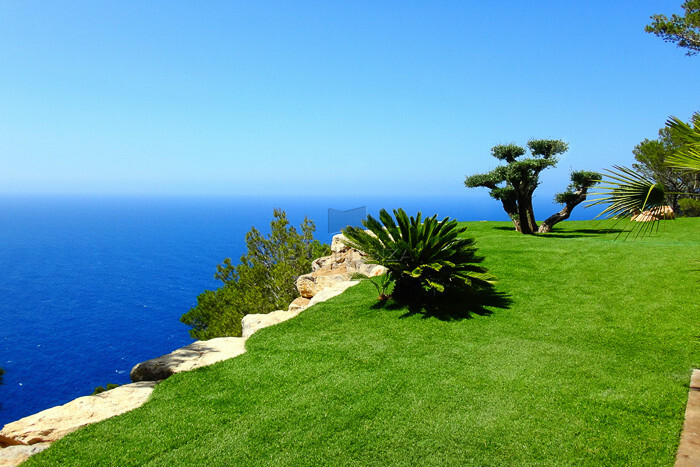 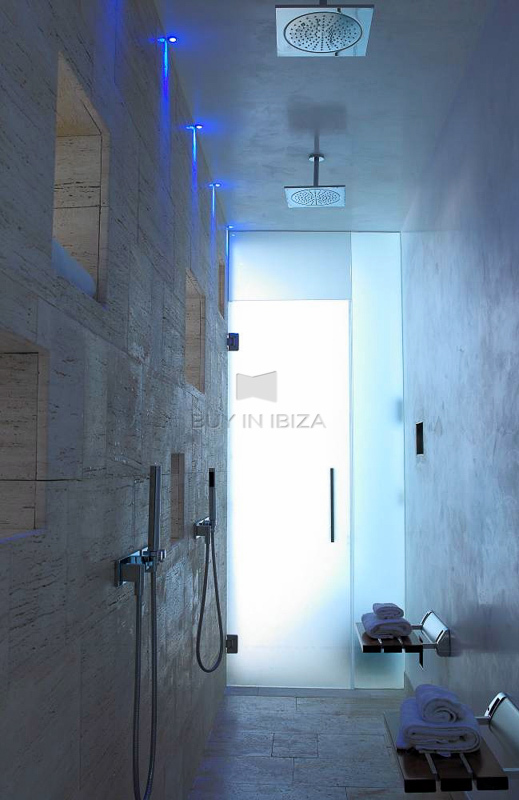 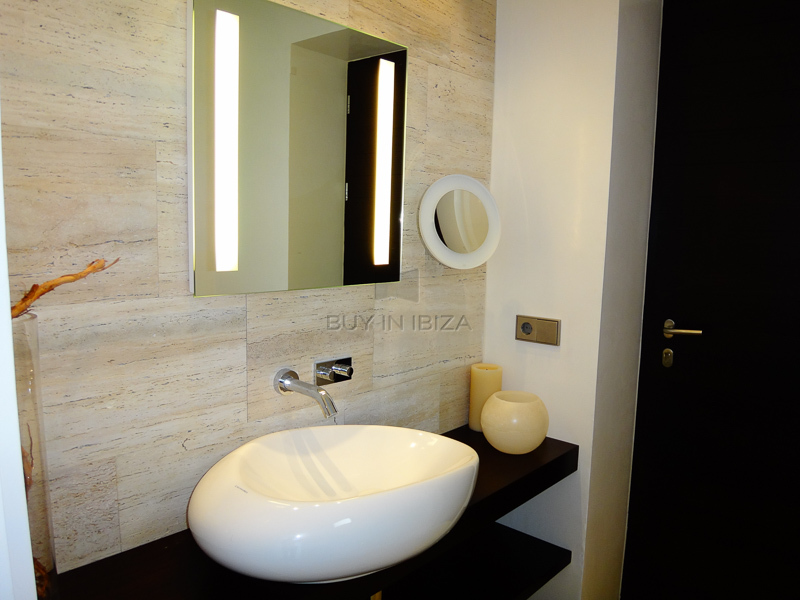 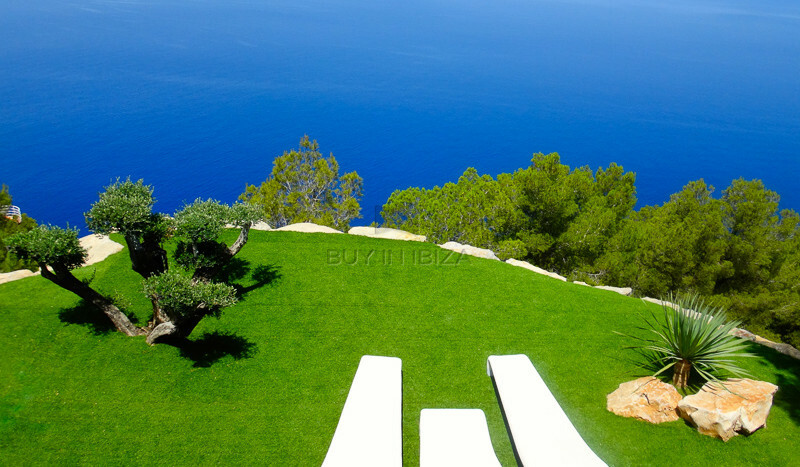 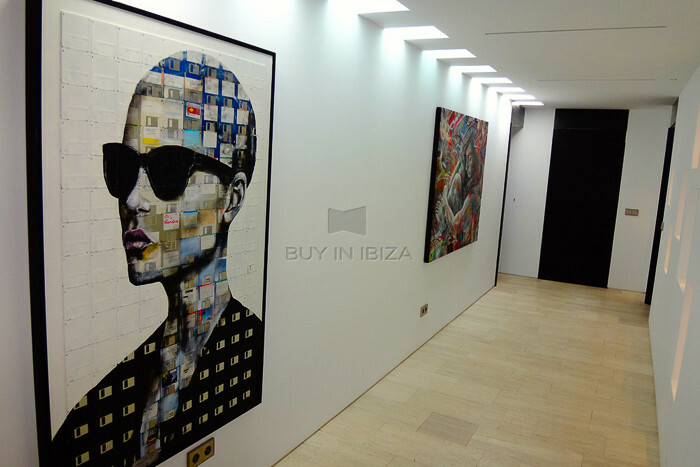 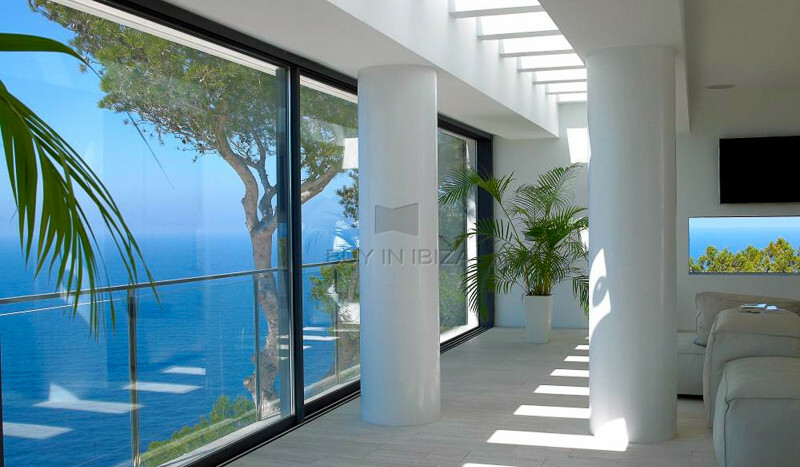 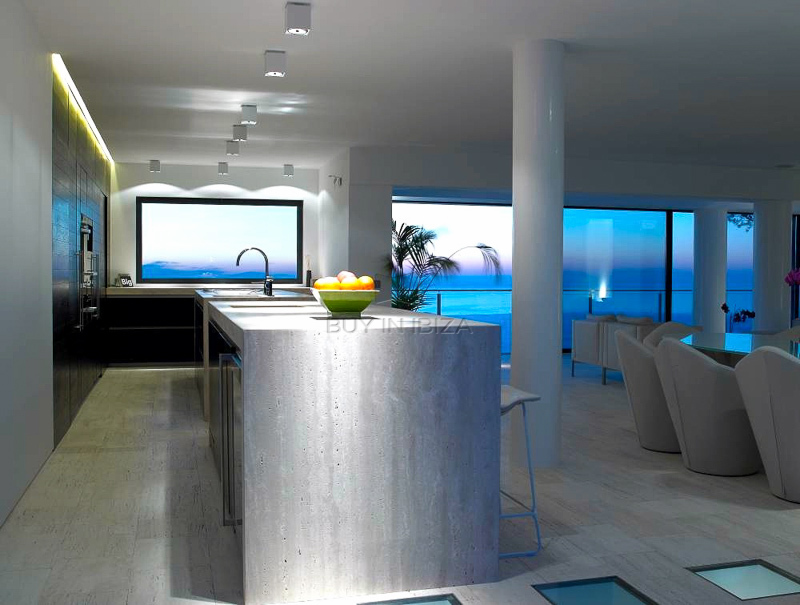 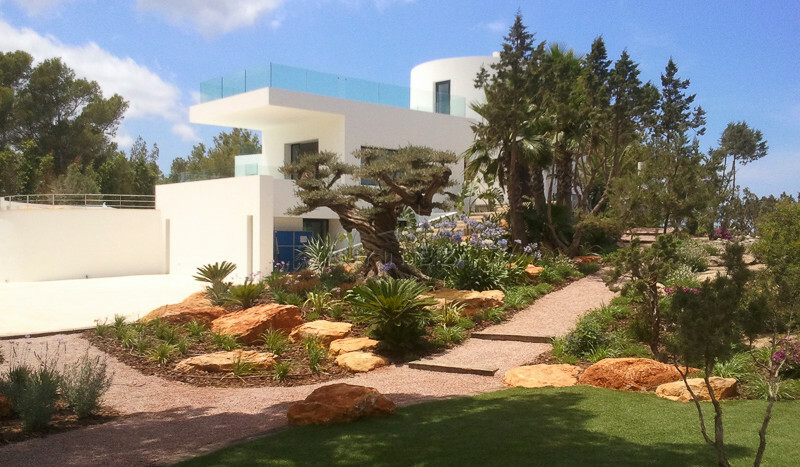 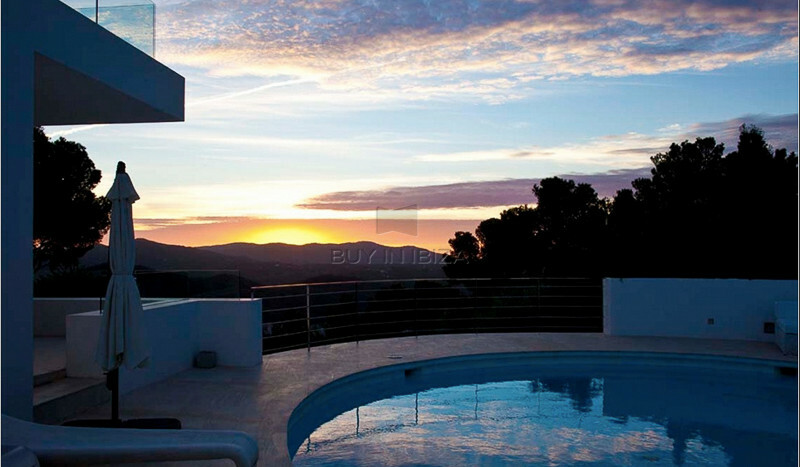 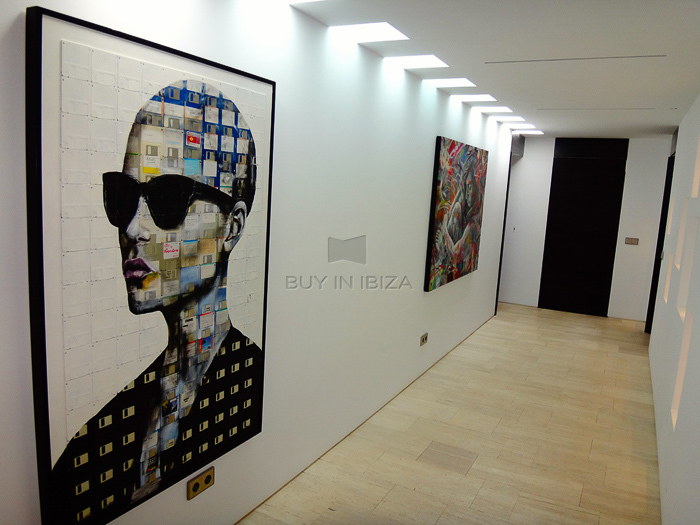 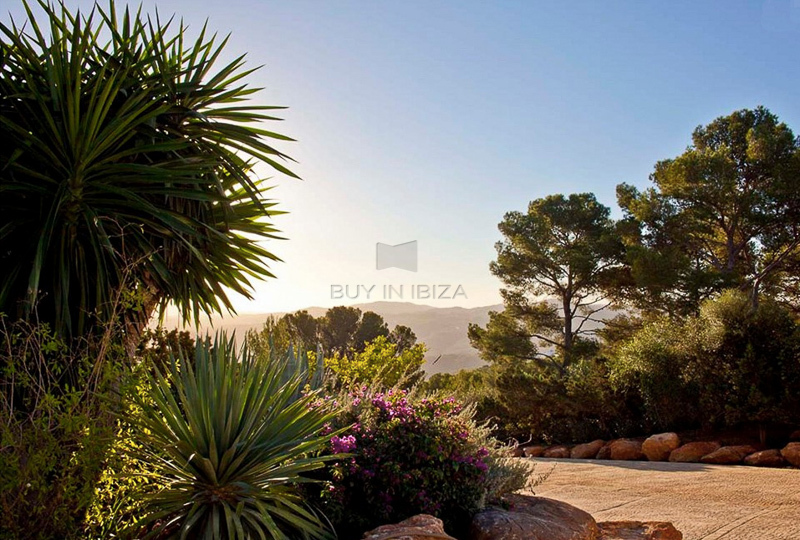 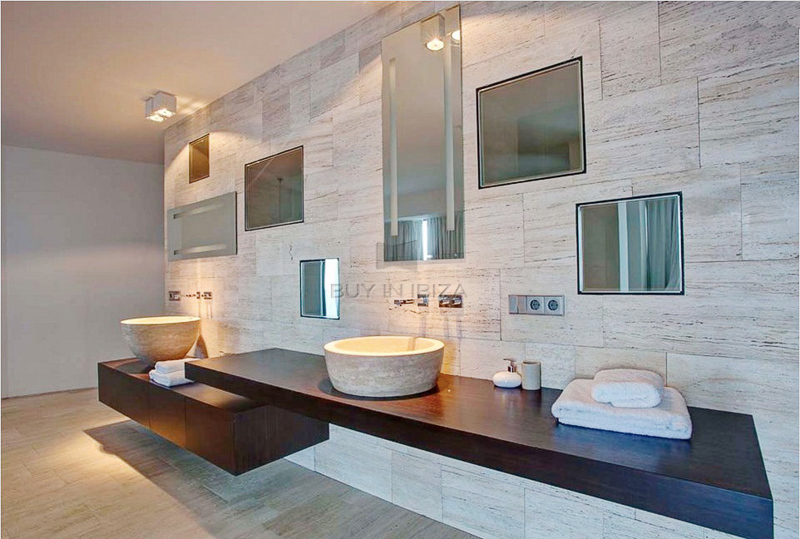 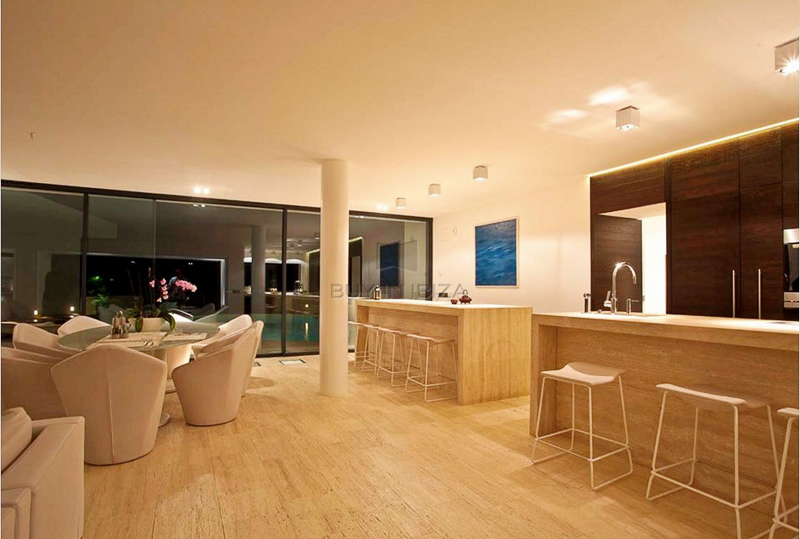 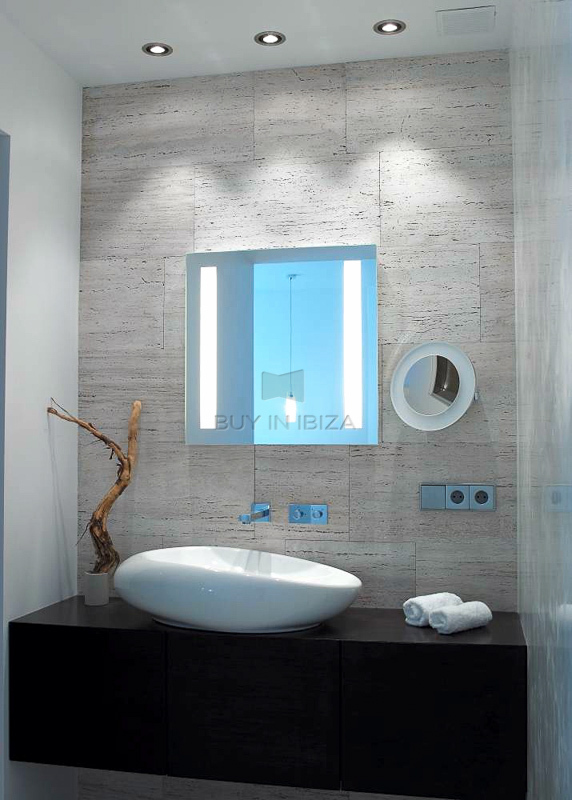 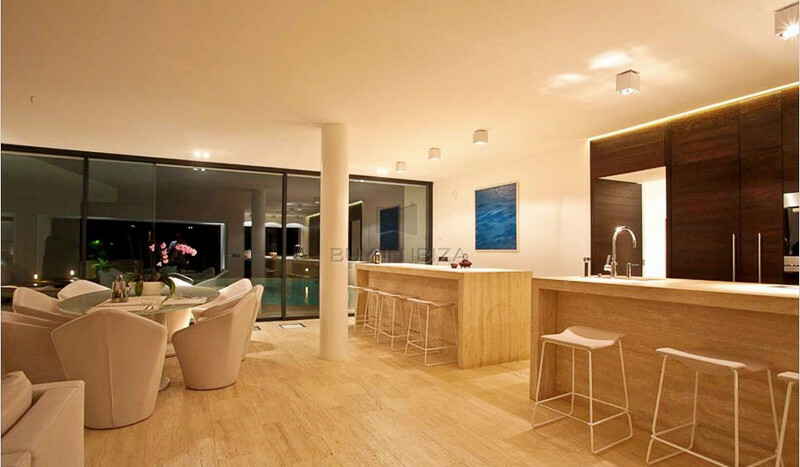 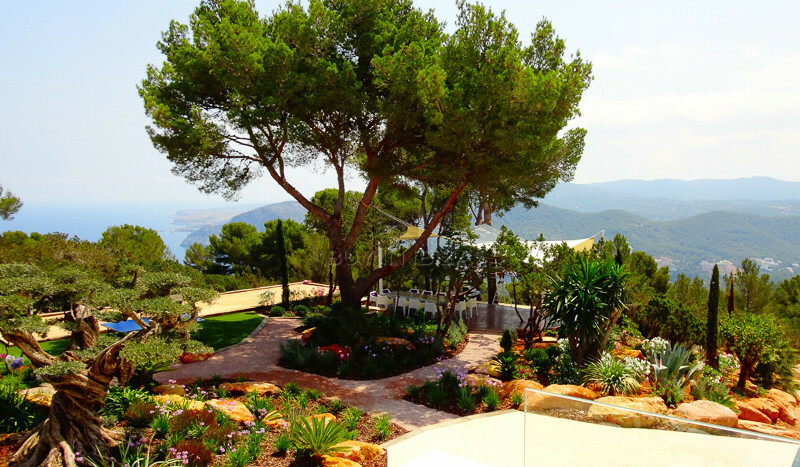 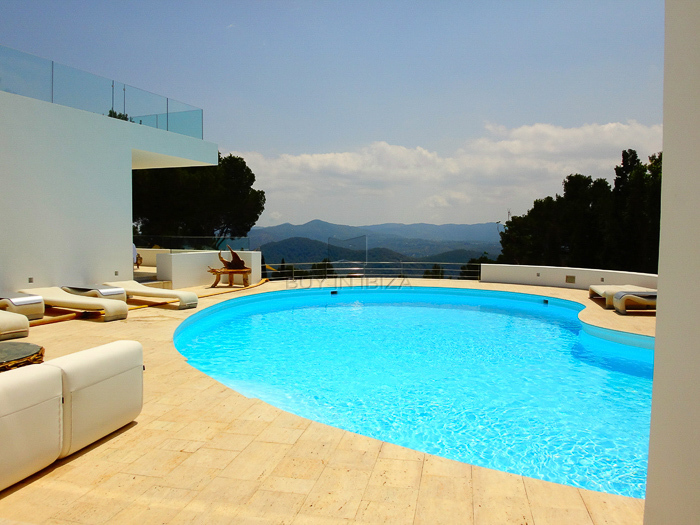 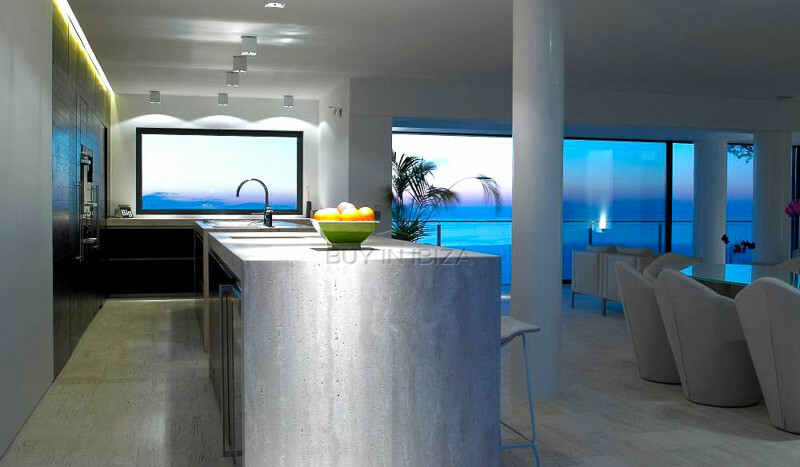 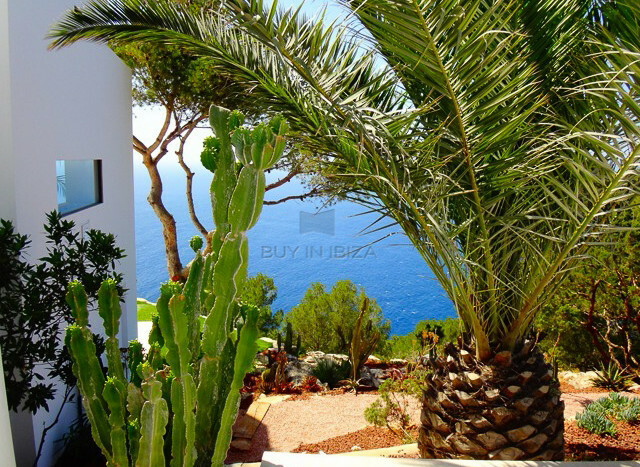 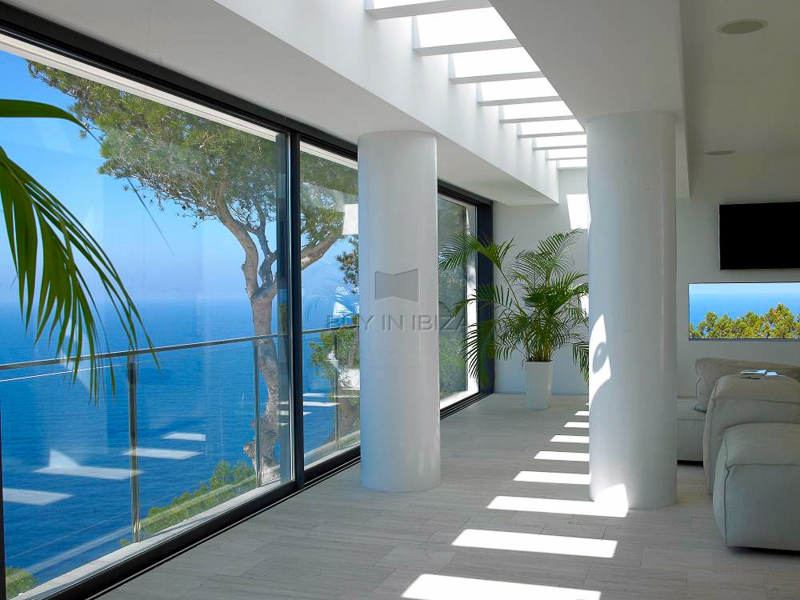 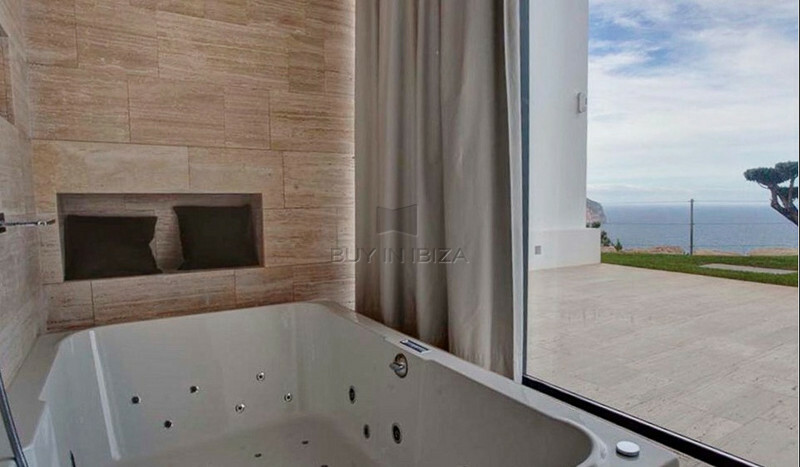 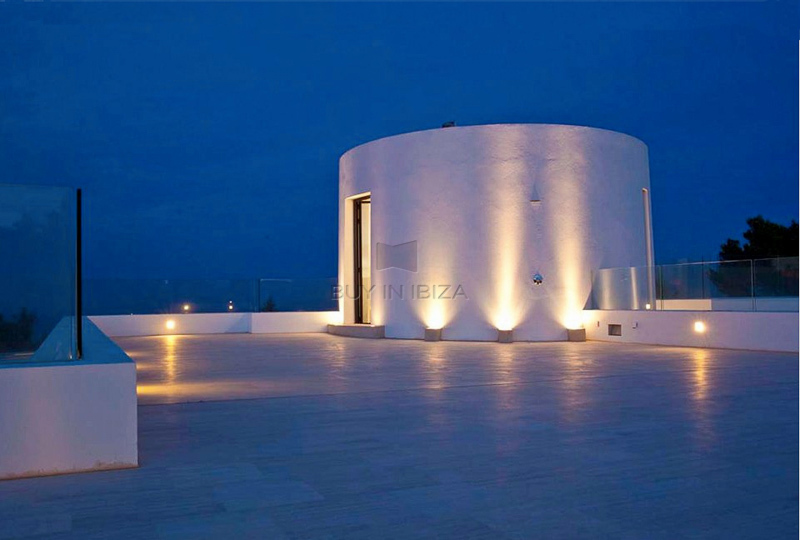 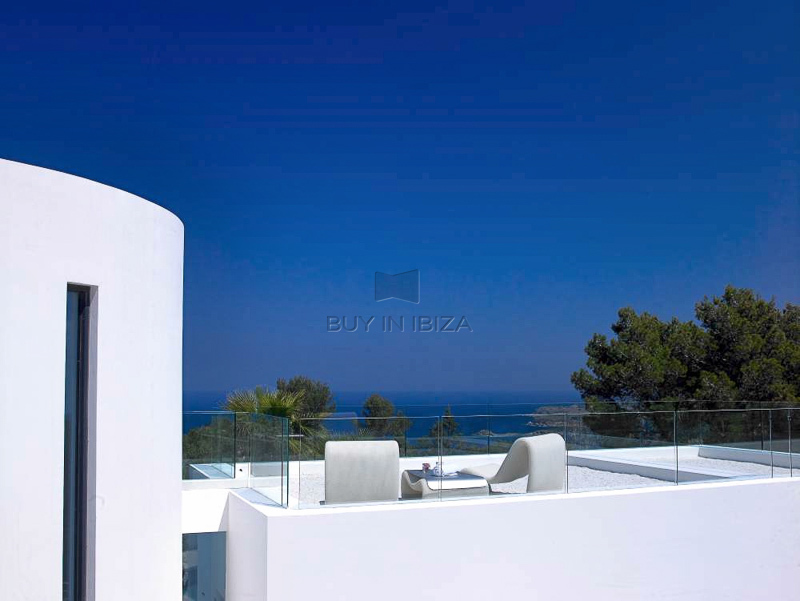 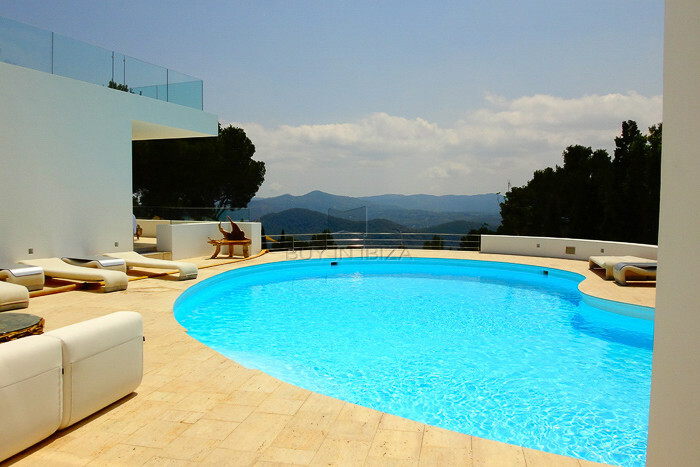 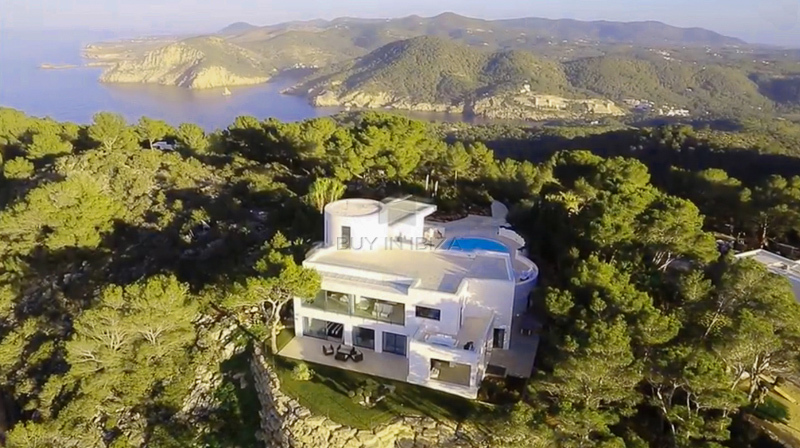 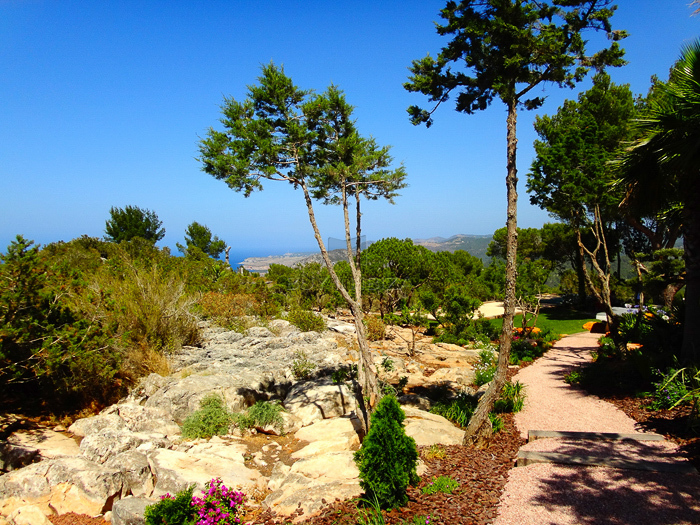 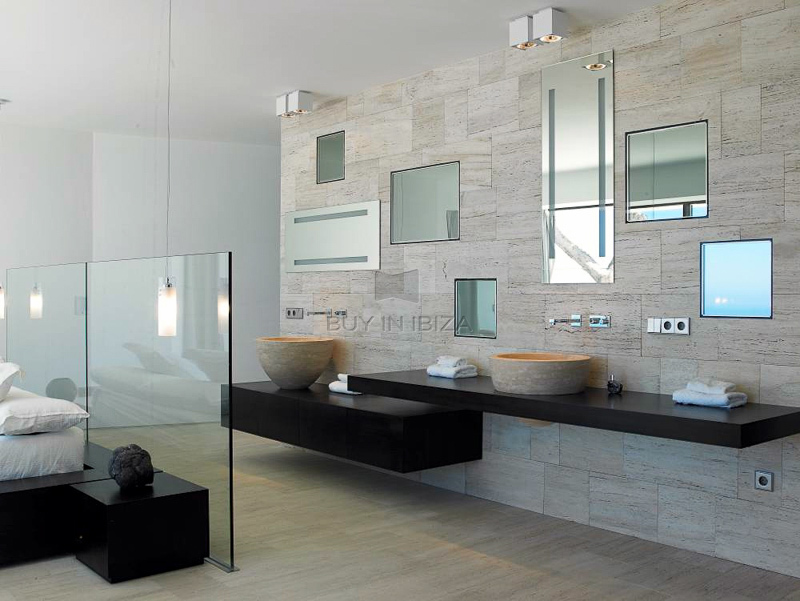 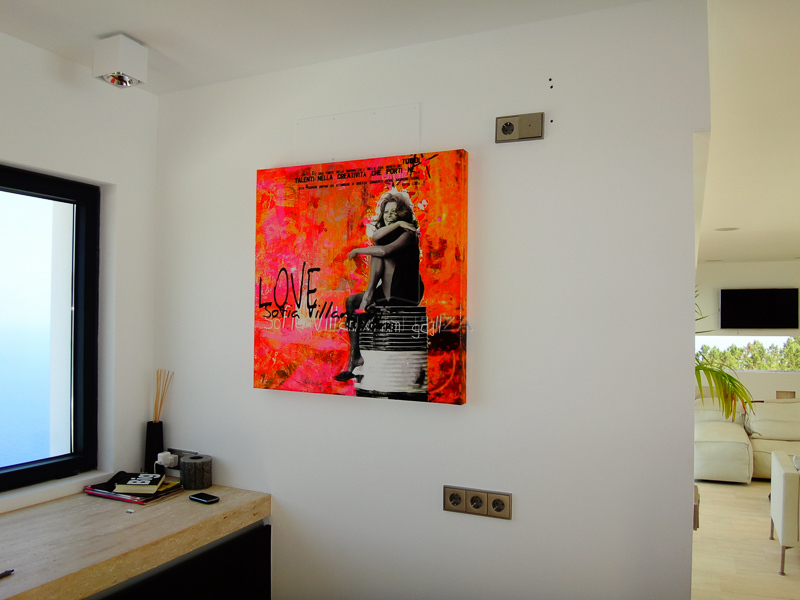 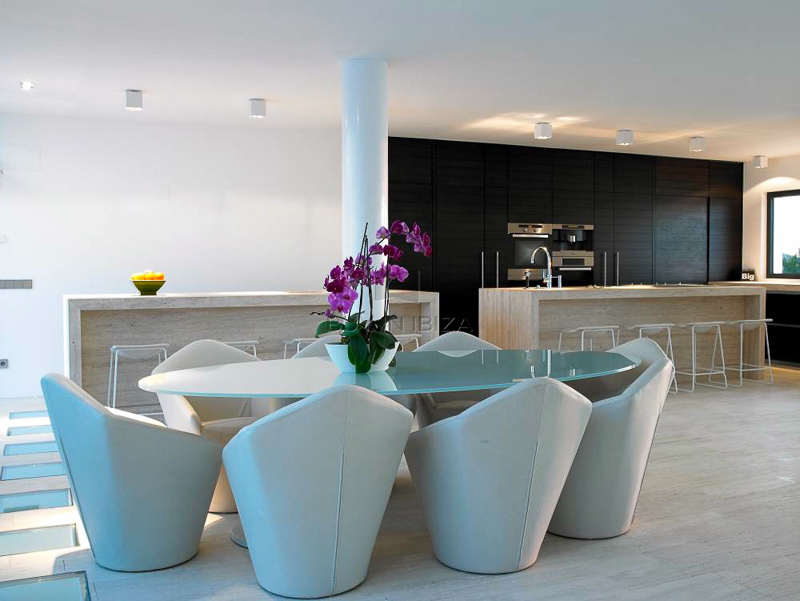 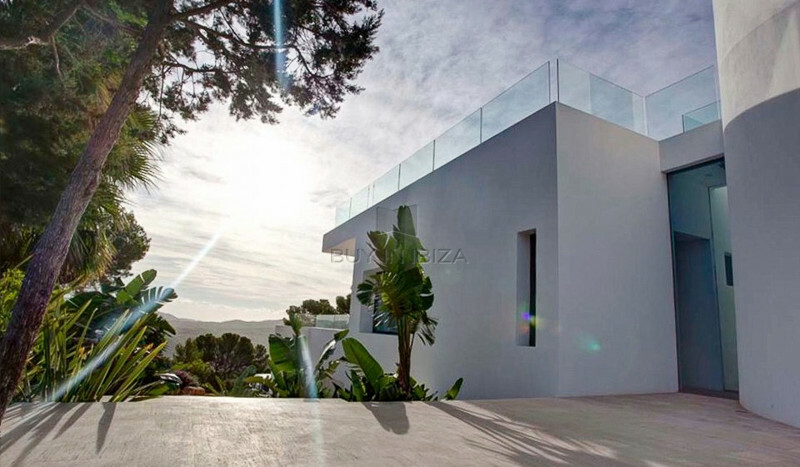 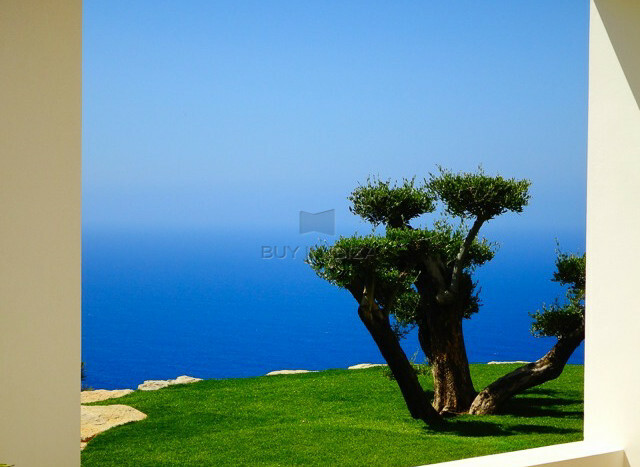 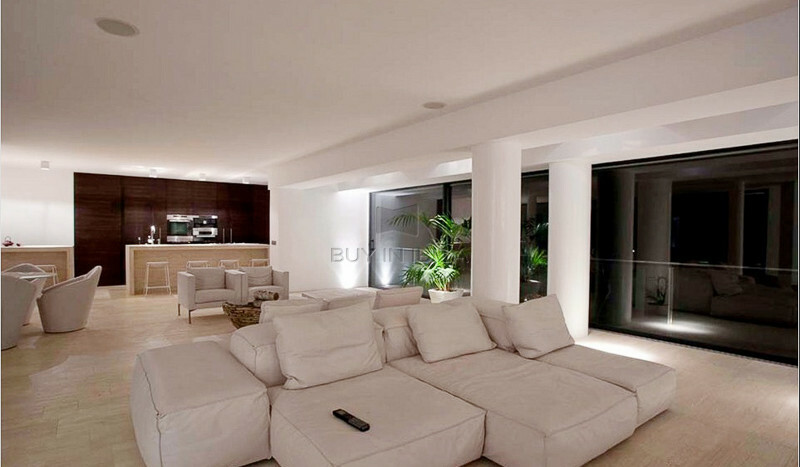 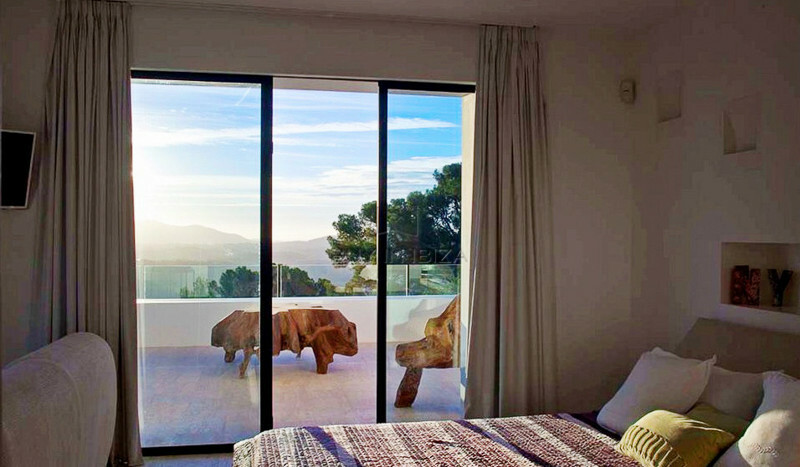 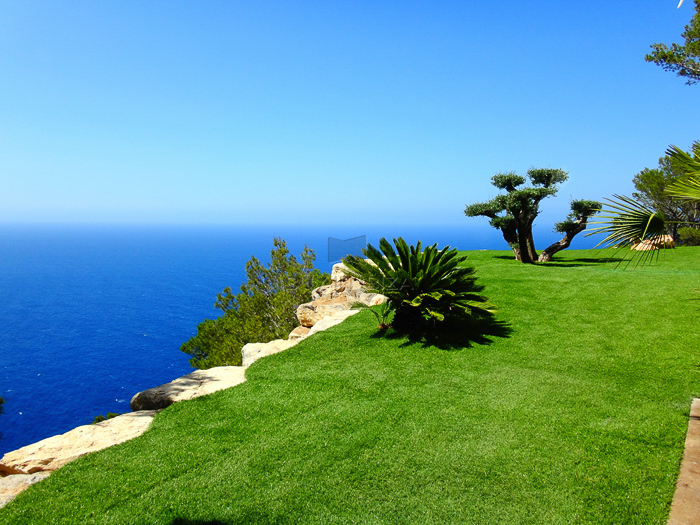 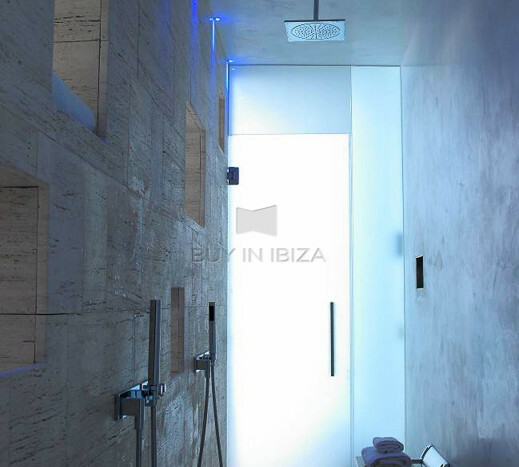 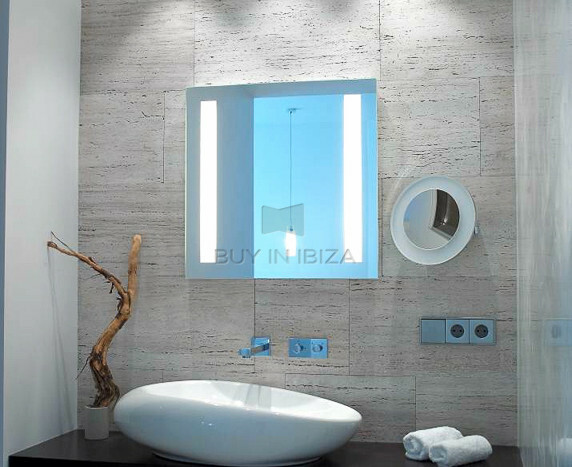 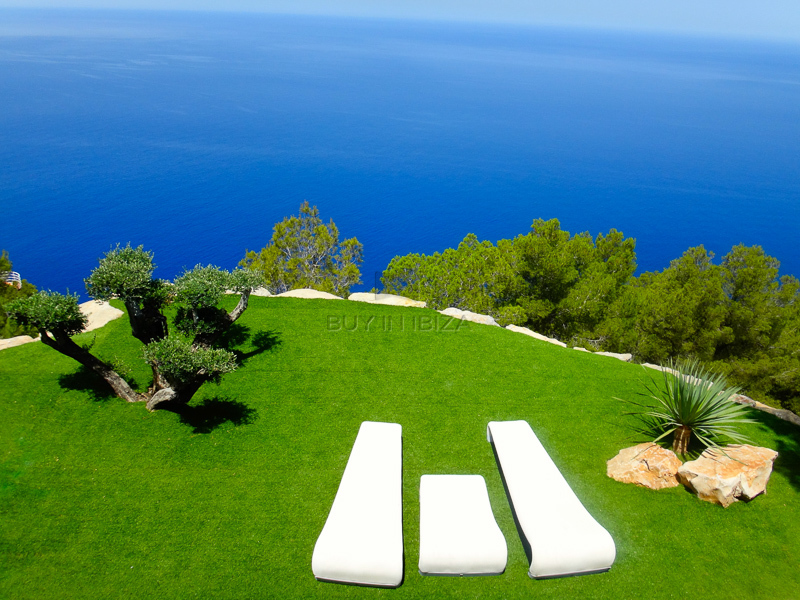 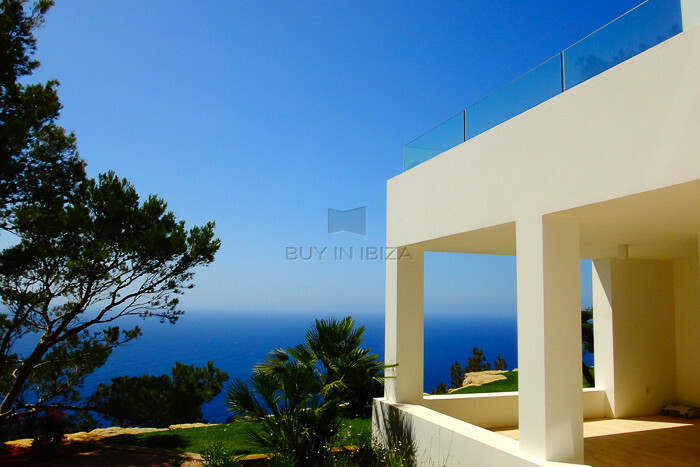 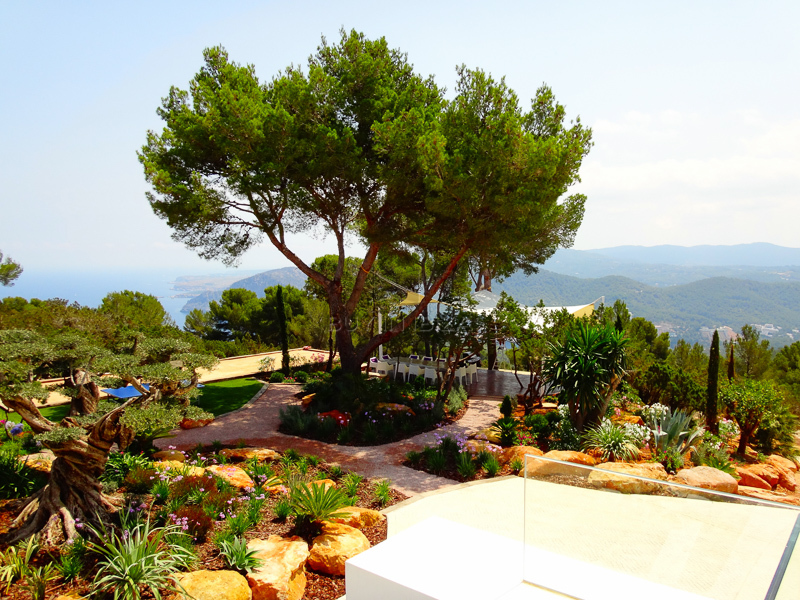 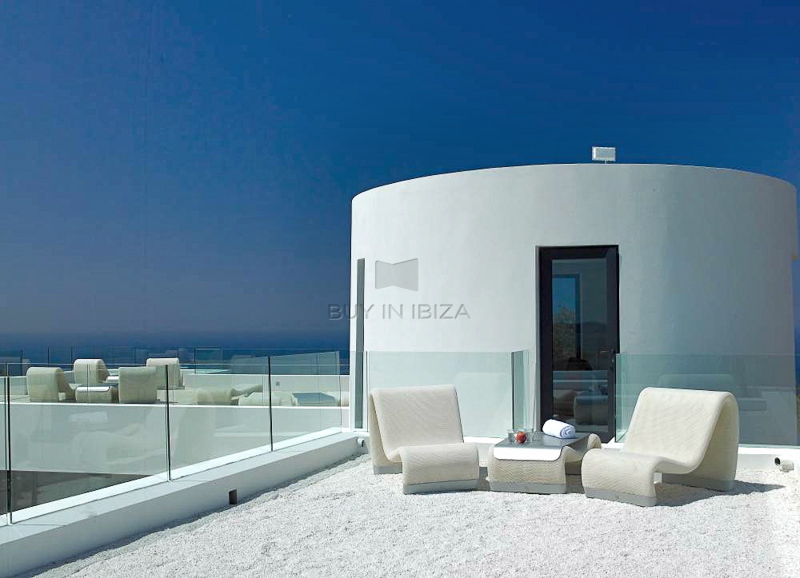 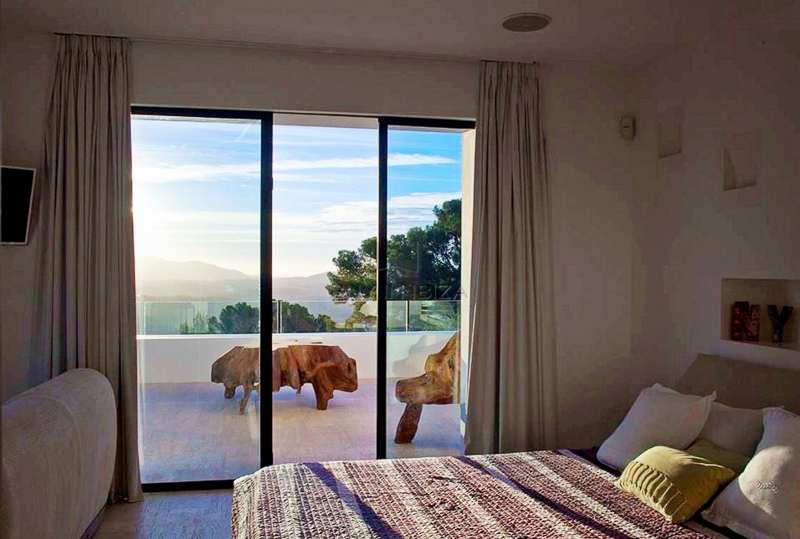 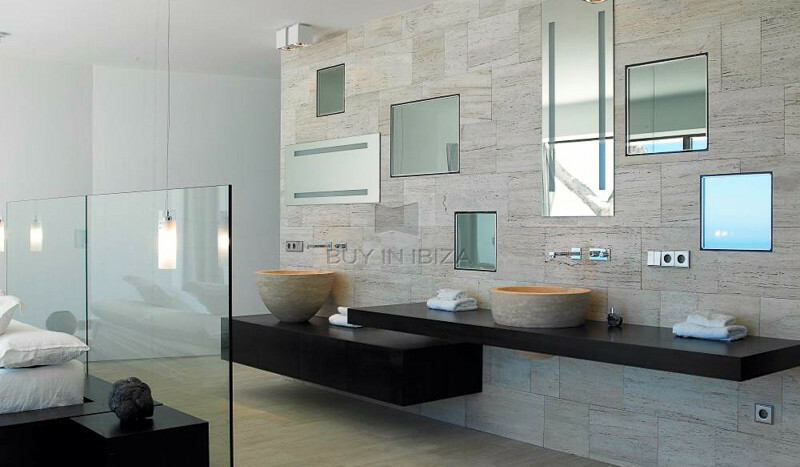 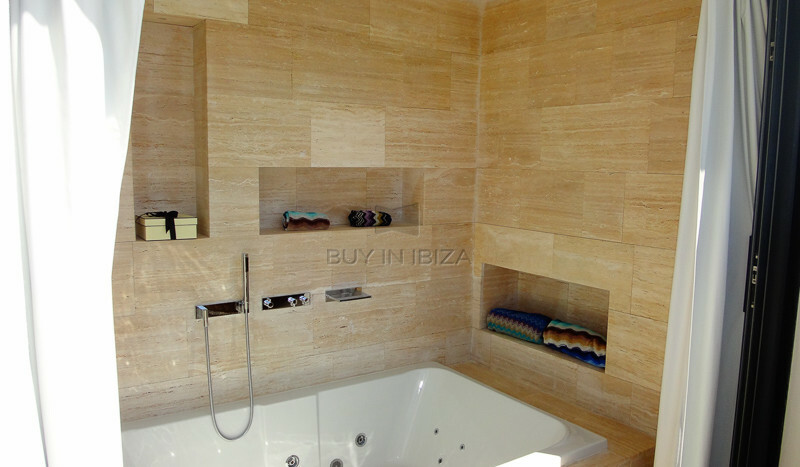 Enjoying 360-degree views of sea (towards Denia and also Mallorca) as well as the counrtyside aroung the north of Ibiza, the villa was completely refurbished 2012. 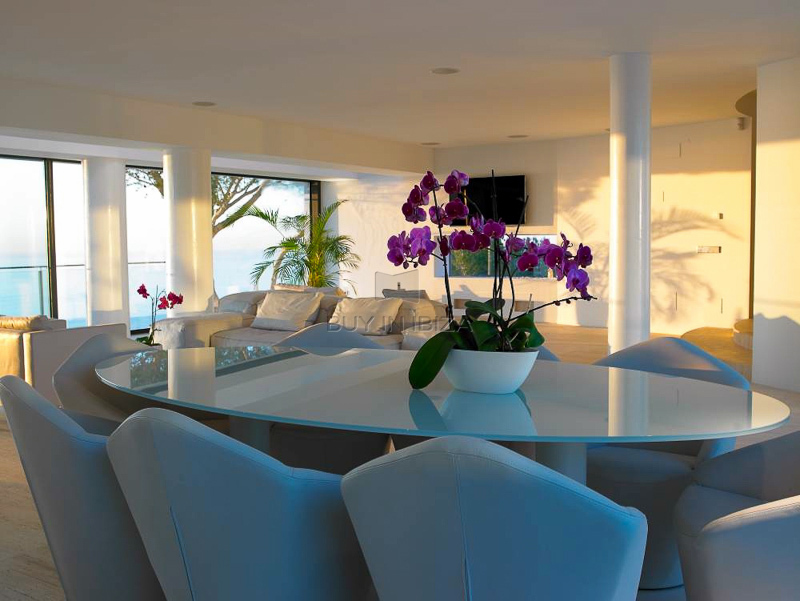 The villa has 6 double bedrooms and bathrooms plus a staff apartment and features a tower that gives access to the roof-top bar and chill out area. 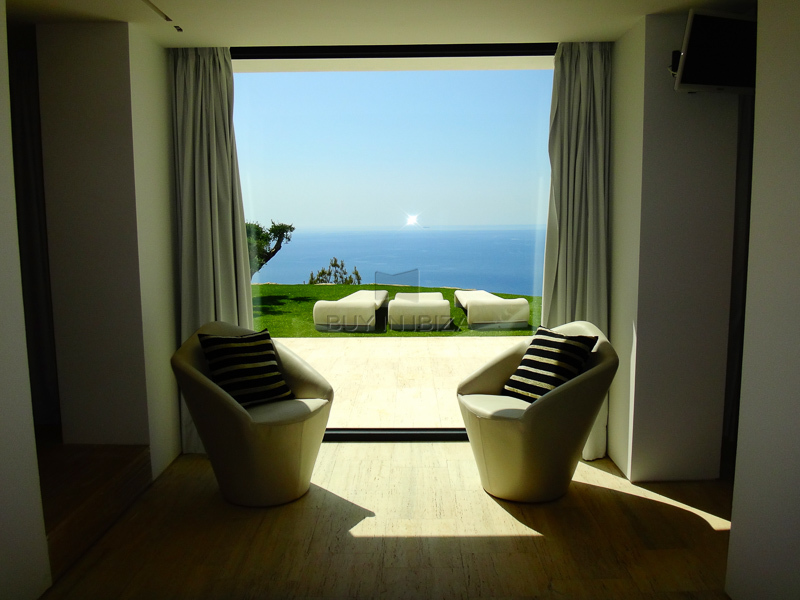 The lounge open both to the sea view and to the swimming pool area. 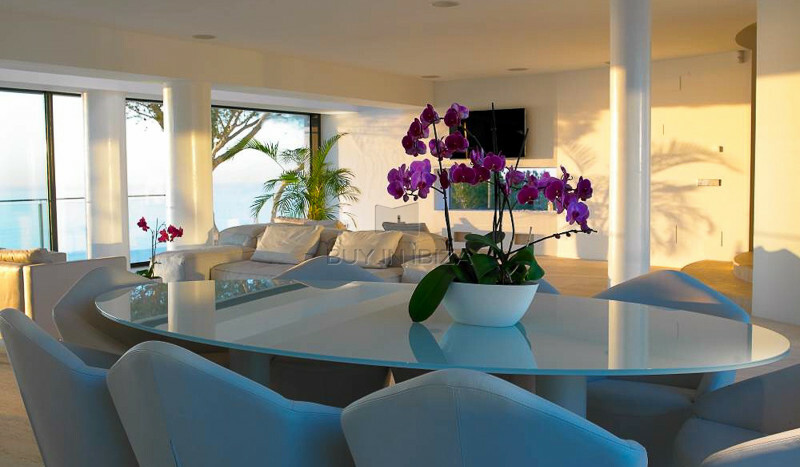 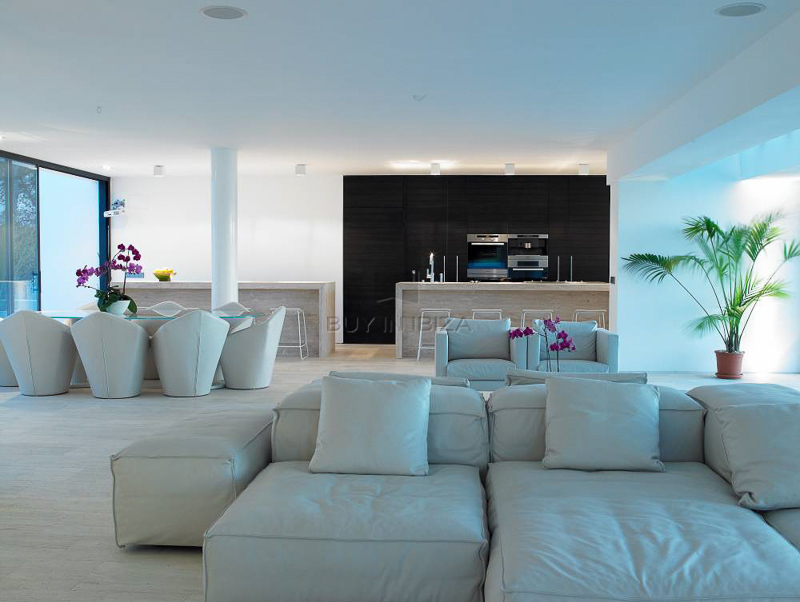 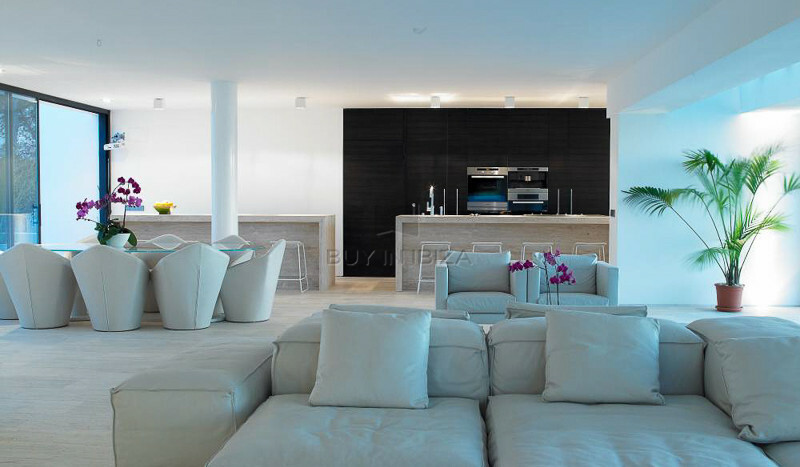 The villa feature underfloor heating and Daiking air-conditioning throughout, as well Apple TV, Wifi and Bose sound systems in all rooms. 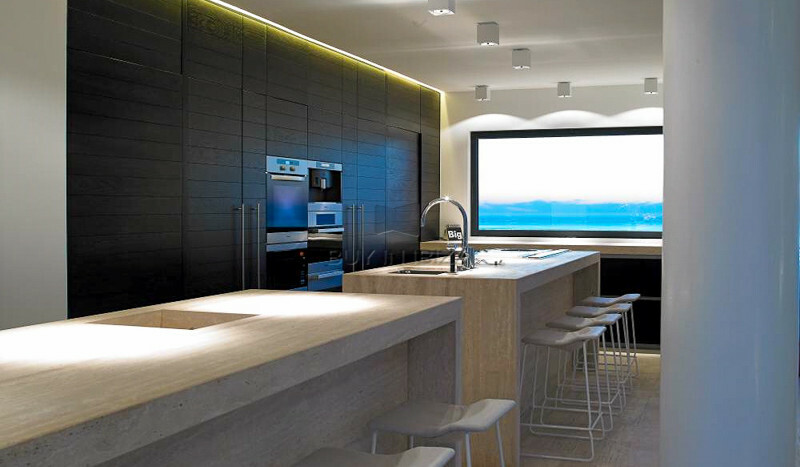 The kitchen features state of the art alliances Bulthaupt induction cooker and Teppanyaki and a commercial kitchen from Gaggenau. 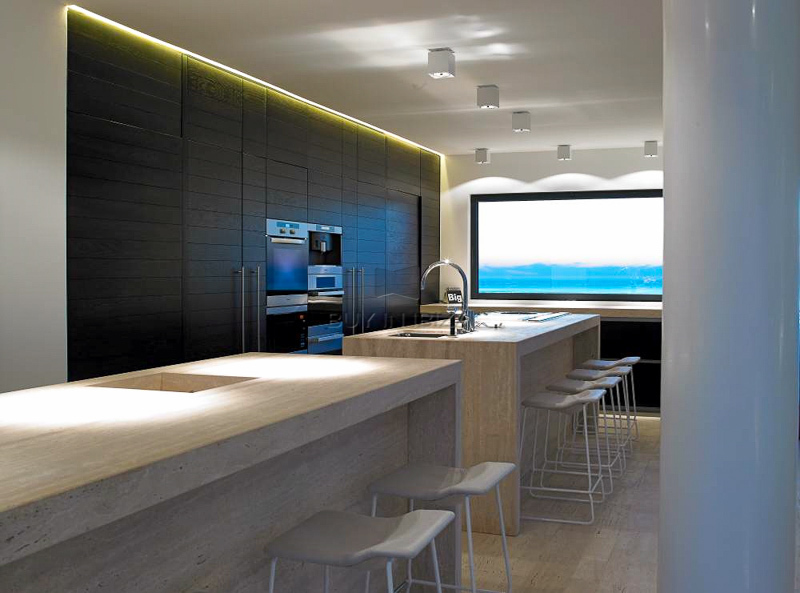 The staff apartment has its own kitchen. 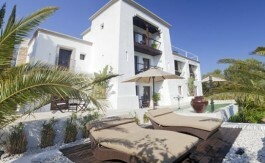 There is a large outdoor BBQ and dining area with fridge and sound system. 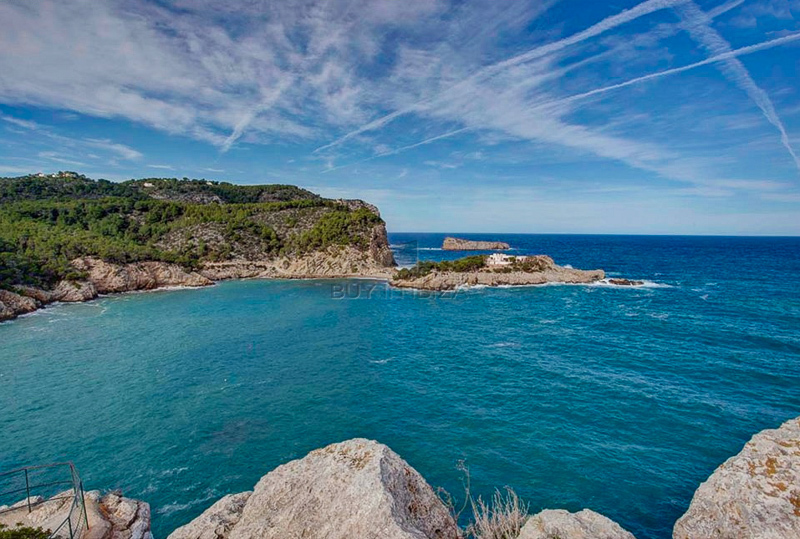 The sea is only 250mtres away and the nearest beach is 15 mins walking distance. 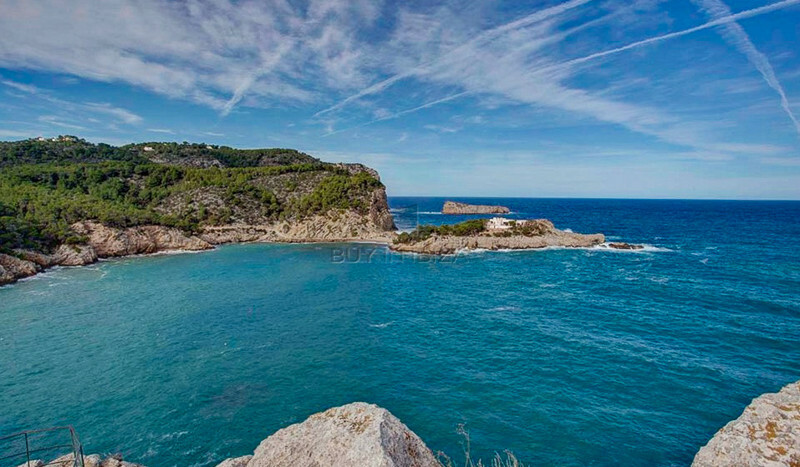 the next beach is just 7 mins drive from the house. 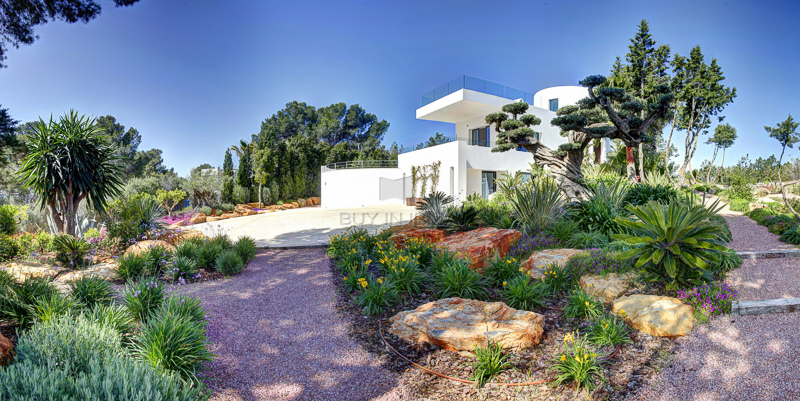 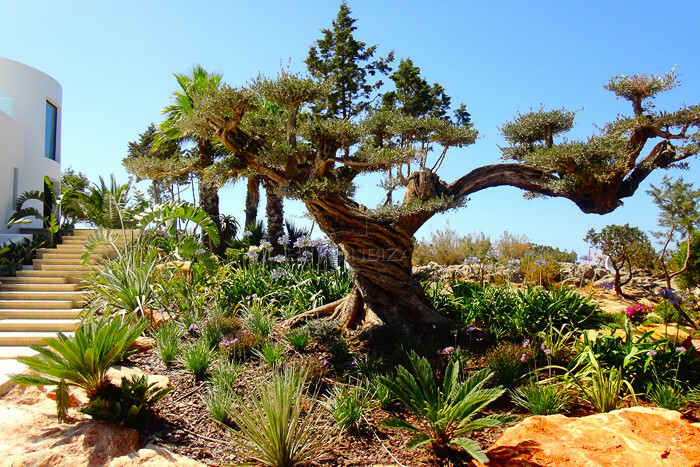 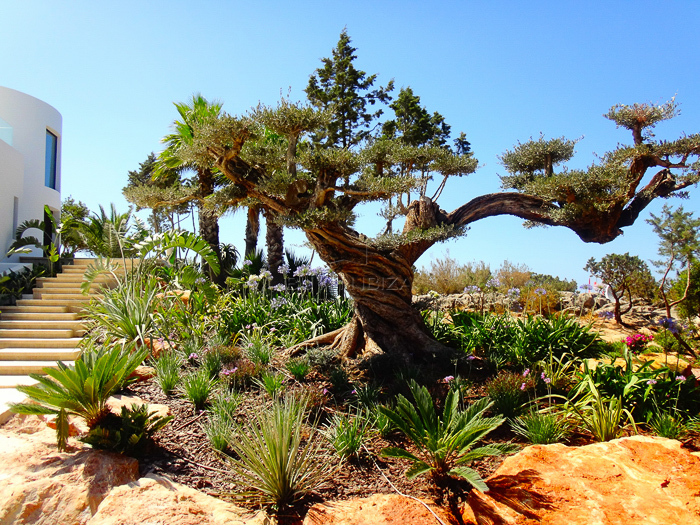 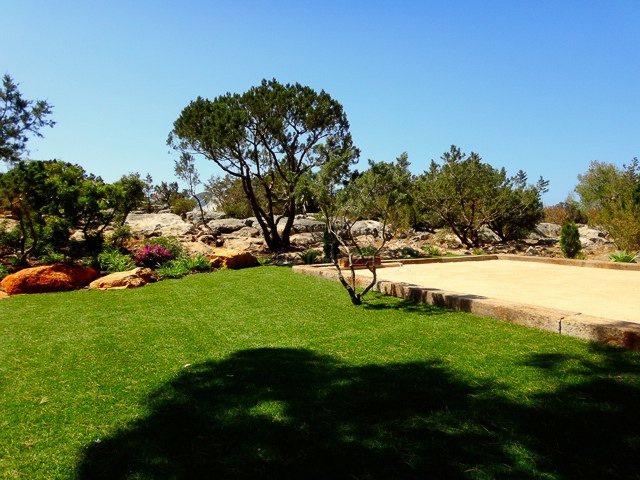 The property has a beautiful garden and is very private.